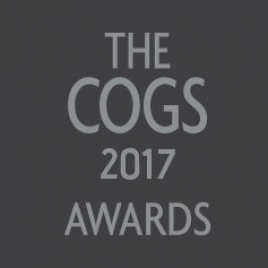 We are absolutely thrilled to announce that we have been shortlisted for yet another IPM COGS Award after 2 wins last year! The nod comes after our hugely successful Road Respect campaign centering round the Euro 2016 football tournament last summer. The 18 day campaign featured a referee complete with a handset microphone conducting “Drunken Penalty Shootouts” using beer goggles. GoPros were used to collect footage of the shootouts which were then edited in-house and uploaded across our social media platforms. The tour also featured Roadi’s Oculus Rift safe driving simulator, featuring landmarks of the North East in which users are encouraged to drive around both sober and in a drunk mode. Footballer masks were given away to successful goalscorers, with live content being captured and uploaded to social media using the #AllezTheLads hashtag. Competition is fierce for the COGS, with an incredibly high standard of work being entered every year with this year being no different. Every activation has to stand out and we are glad that our Road Respect campaign managed to make the grade. The IPM celebrates all that is exceptional within the creative marketing industry and the COGS were created to recognise and reward the cream of the crop, with only the most impactful and exciting campaigns selected to be shortlisted. The IPM 2017 COGS Awards Presentation takes place on Friday 22nd September at the prestigious St Pancras Renaissance Hotel, and we can't wait!